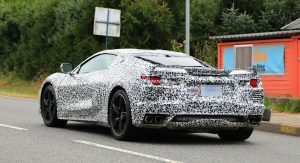 The Chevrolet C8 Corvette is just around the corner and one forward-thinking individual in the U.S. is looking to cash in with a pair of exclusive California plates that read ‘VETTE C8’. 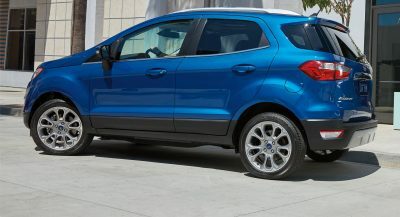 The plates are currently for sale on eBay and are the appealing California Legacy Plates which have been designed to mimic the look of plates used throughout the state in the 1950s, 1960s, and 1970s. They are black and feature yellow text. 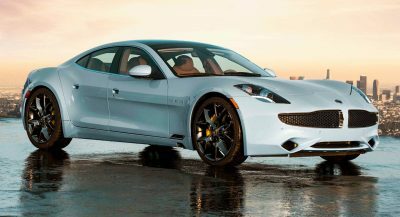 Owners of exotic sports cars and supercars with money to burn often like to affix license plates that match their vehicles. More often than not, they’re also willing to spend a lot of money on these types of plates. 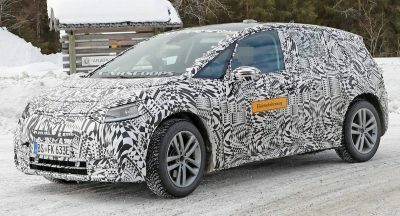 Despite this, the plates in question are available for a ‘Buy It Now’ price of just $495. 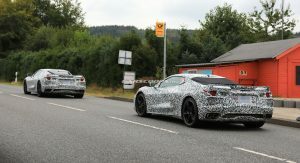 That’s surprising because it’s inevitable that a Californian owner of the long-awaited C8 Corvette would be willing to spend much more than that for the privilege of having such bespoke plates. 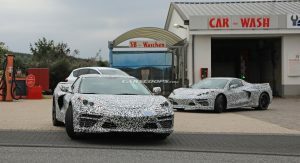 We don’t know yet when the C8 Corvette will arrive, but a launch is widely anticipated for some time in the next few months. 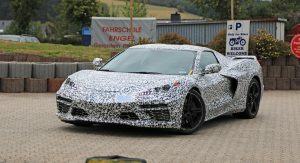 When the C8 Corvette does arrive, it will mark a new era for the famed American sports car thanks to its adoption of a mid-engine layout that’ll allow it to go up against the finest supercars from Europe. 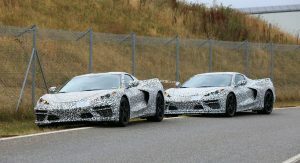 Our sources inform us that the entry-level C8 Corvette models will use a naturally-aspirated 6.2-liter V8 with 500 hp. 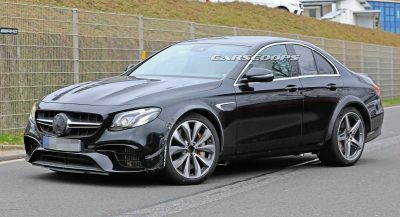 Chevrolet may also sell the supercar with a 5.5-liter V8 in naturally-aspirated and twin-turbo guises with upwards of 800 hp. 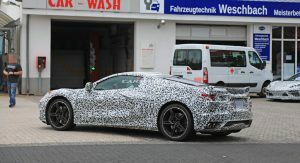 A range-topping variant which pairs this engine with an electric motor at the front wheels could give the new Corvette up to 1,000 hp. 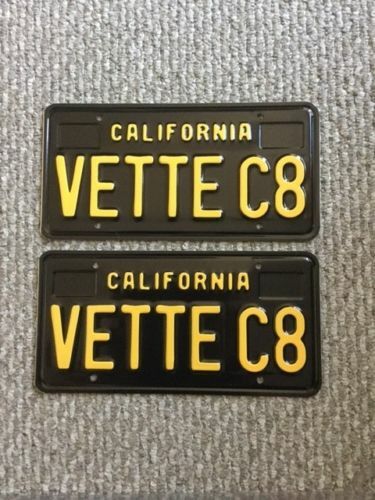 These plates will only be good to the first person in CA that receives their C8’s VIN and can register their new vehicle before anyone else. For everybody else these $495 “plates” will just be wall art.